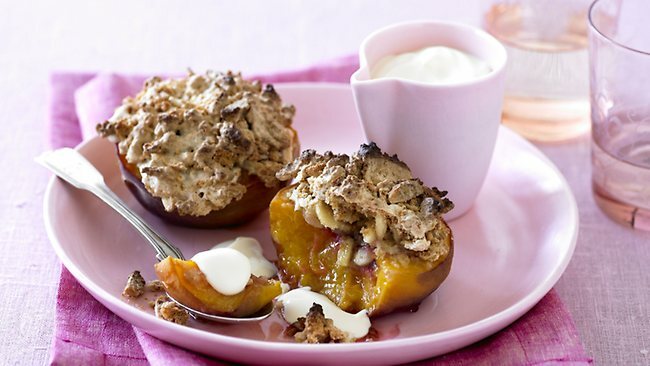 First Came Fashion: Summertime Apricot Crumble. This recipe makes for the perfect Summertime treat. Have I mentioned lately just how much I love Summer? Preheat oven to 400 degrees. Place apricots in a baking dish. Mix butter with almonds, oats and brown sugar. Sprinkle almond mixture on each of the apricots. Bake for 20 minutes. Labels: Food., Recipe, Recipe., Travel. This looks so simple. I love it.